We’ve got you covered! 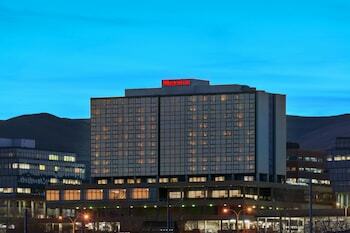 Your tuition includes your stay (Sunday night thru Friday night) at the Sheraton Denver West. The hotel is only 1.5 miles from the Rocky Mountain Laser College and the Sheraton Shuttle will pick you up in the morning and take you to our front door. It can then pick you up in the evening and take you back (or you can have some dinner with your new friends from class). Denver’s new light rail system runs from Denver International Airport to within 1 block of the Sheraton, so you won’t even have to rent a car! Remember, Denver has over 300 days of sunshine a year so your stay will be an enjoyable one for sure.